As the weather so often can be in the North East of Scotland, August the 15th last year provided a typically changeable day. 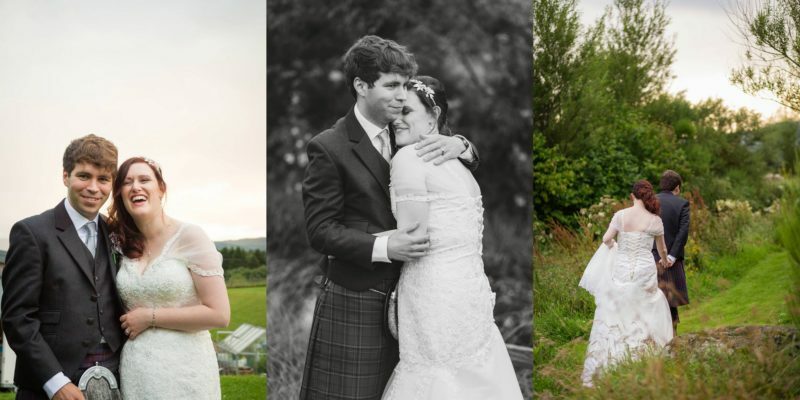 The rain could not put a dampener on the day though as Kathryn and Gary laughed and smiled throughout their beautiful and heartfelt celebrations at their Woodend Barn wedding. 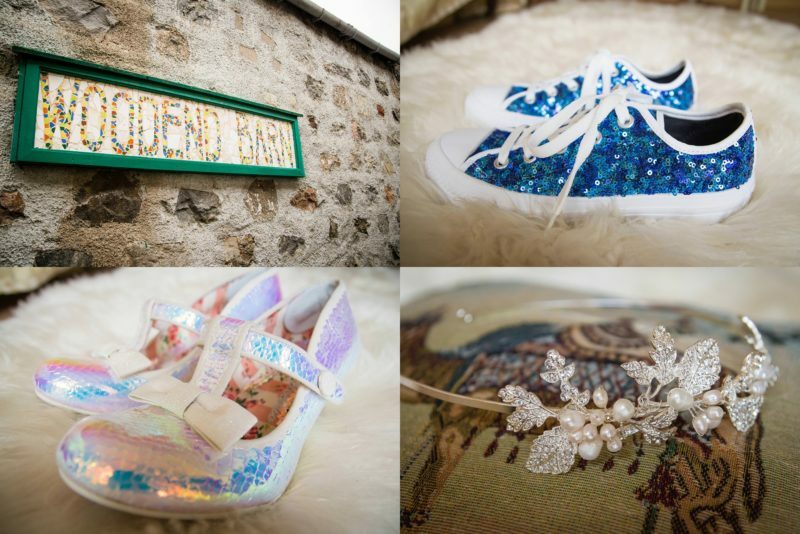 It was a laughter-filled morning of wedding preparations at The Hideaway, Gateside Farm, Lumphanan. 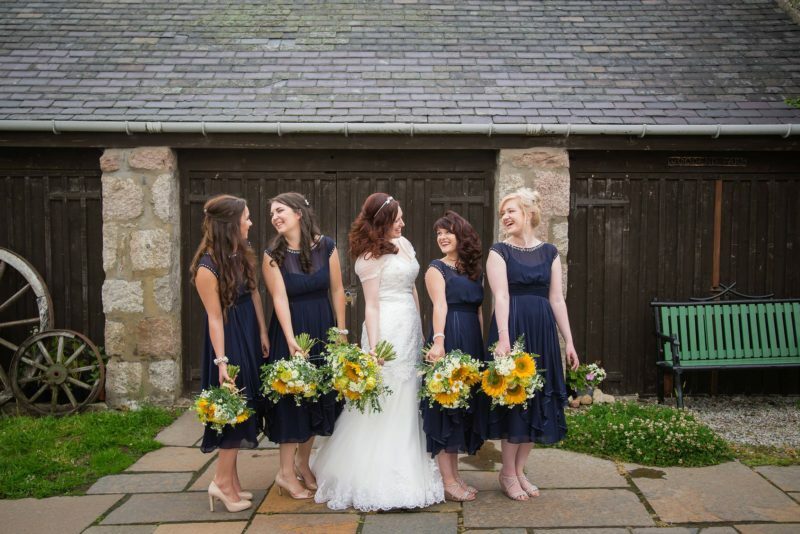 Kathryn looked radiant as she made her way to the beautifully situated Woodend Barn. 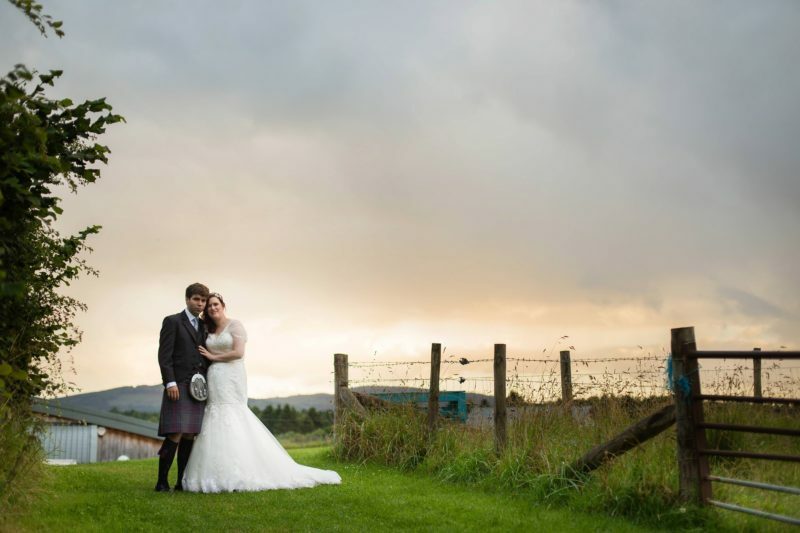 The venue’s rustic charm and scenic surroundings fit in perfectly with such a relaxed and beautiful day. The Lang Byre Gallery had been beautifully decorated by Gary and his team in the morning. Fotomaki would like to give a special mention to the bunting, we love some pretty bunting! When Gary saw Kathryn walking up the aisle his face lit up; the eyes of many a guest welled up too. 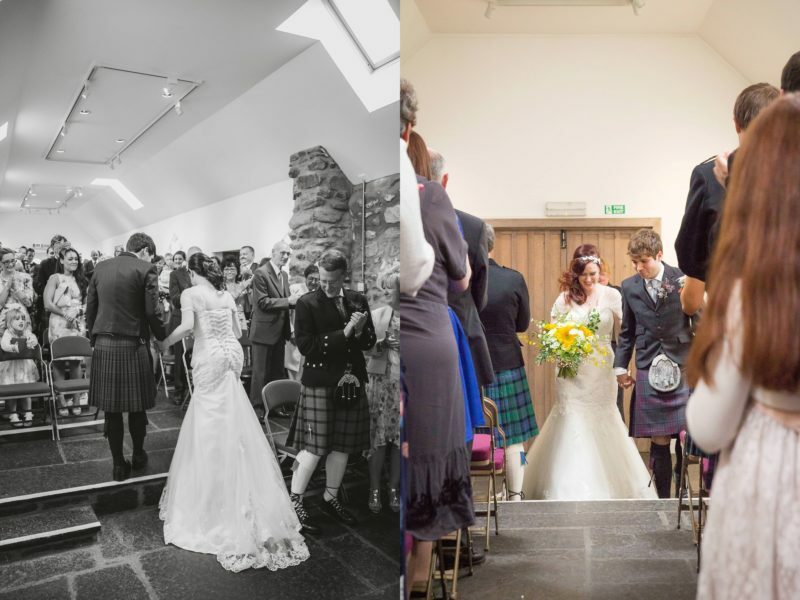 As you can see by the photos the ceremony brought laughter, especially where the Quaich was involved. There were so many moving moments as Gary and Kathryn exchanged their self-penned vows. Between the ceremony and reception, drinks and food were enjoyed by the guests as we stole the newlyweds away for some photos with their families. 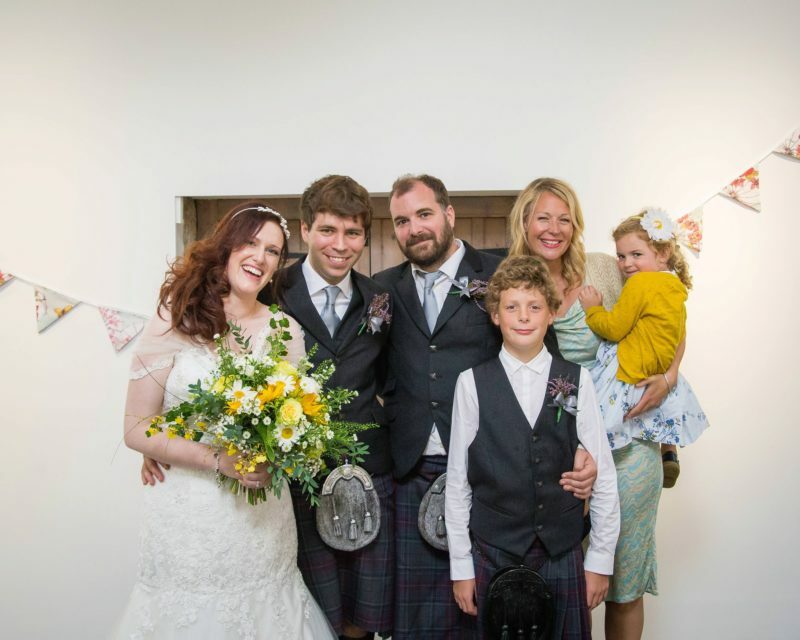 A particular favourite photo of mine is Kathryn and Gary with Gary’s best man Martin and his family. Little Tallulah was perfectly coordinated with Kathryn’s vibrant bouquet of sunflowers and giant daisies and really makes with photo pop. Also knowing the closeness of Gary and Martin really makes this photo special. 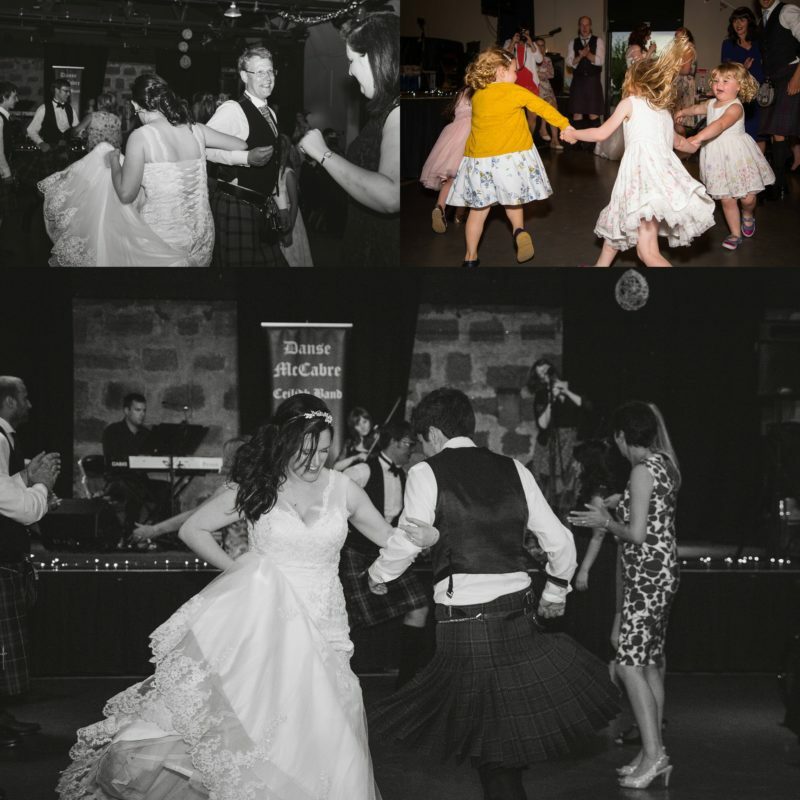 Following some mingling and many hugs, the new Mr & Mrs Cameron invited everyone to take their seats for a delicious meal provided by Buchanan’s Food, who also run the Bistro attached to Woodend Barn. Jan, the excellent wedding coordinator for this Woodend Barn wedding, ensured the serving of the meal and the entire day ran smoothly. Luckily, afterwards, the rain had given up and we were able to whisk the gorgeous couple off to create some keepsake images of their day. 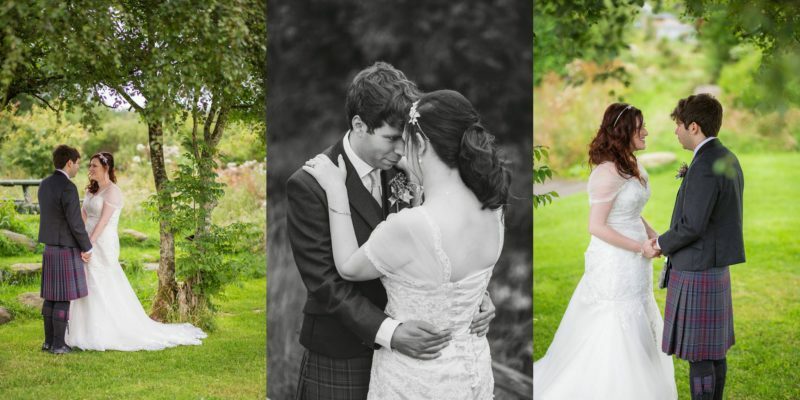 Tucked away behind the Woodend Barn is a beautiful wild garden where we were able to take Kathryn and Gary. 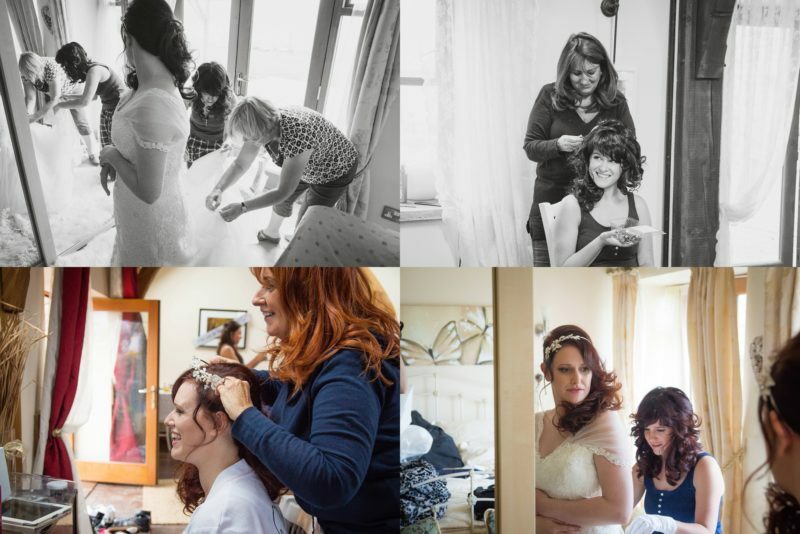 It really provided a perfect setting for us to capture some tender moments between the bride and groom. 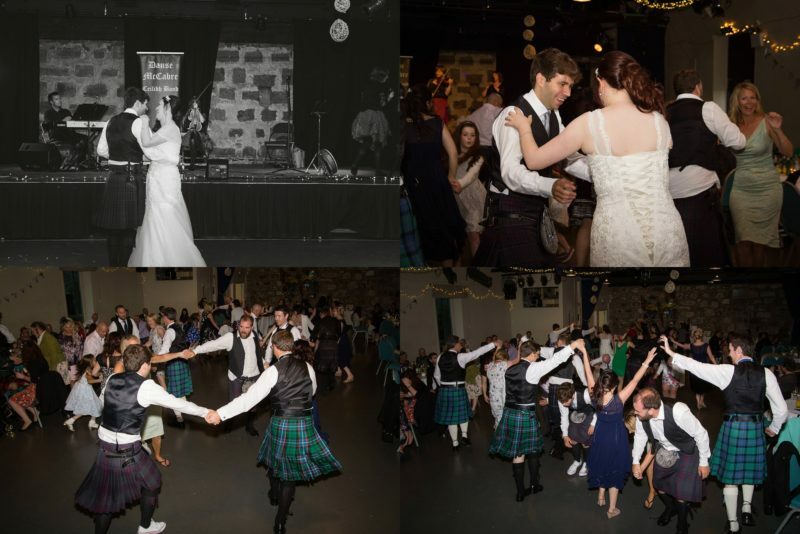 Then it was off to dance the night away Scottish style at a ceilidh with music provided by Danse McCabre. 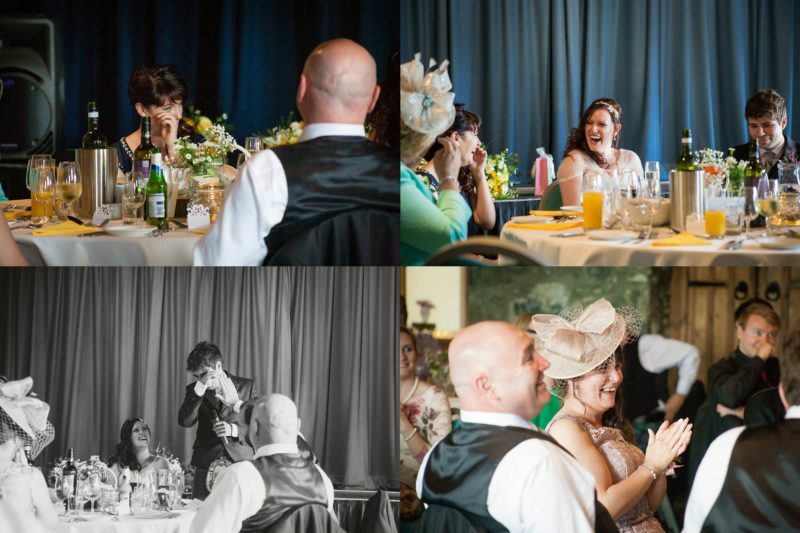 Between Kathryn’s infectious laugh, Gary’s intelligent and moving speeches and the superb attention to detail during the celebrations it really was a wedding day to remember. We would like to wish Mr & Mrs Cameron (wa-hey!) all the best for the future.